This year’s Christmas will be remembered by most Sierra Leoneans for all the wrong reasons – economic hardship, lack of access to clean safe drinking water, poor sanitation, and rising youth unemployment. With over 60% of the population still struggling after 50 years of independence to feed their families, much reliance is placed on international aid agencies to provide feeding programmes for many. The government says that it is doing all it could to alleviate poverty, create jobs and look after the vulnerable. But it is a massive task, as poor leadership, corruption, mismanagement and the lack of organisational capacity continue to hamper progress. The sections of population most at risk are the elderly and young children. They have had very little to rejoice about this Christmas, so every little – no matter its source does go a long way to help cushion the hardship. For many Christians around the world, Christmas has always been a very special day as they celebrate the birth of Jesus Christ. And in Sierra Leone, Christmas day is a day we spend time with our families and loved ones: eat and share together in the spirit of love, compassion and care in accordance with the teachings of Jesus Christ. For many people – especially politicians, Christmas is traditionally an occasion when they travel to the provinces to celebrate with their people to foster family and communal ties. But for Maada Bio and his wife, this Christmas day celebration was special. As a very compassionate and caring politician, Julius Maada Bio together with his wife, Fatima Jabbe Bio, on Christmas day decided to celebrate Christmas in Bonthe, where they organised a special feeding programme for about 1,000 Children at the Bonthe Community Center. Addressing the children and their parents before the start of the special Christmas meal, Julius Maada Bio said as a country we all have a special responsibility towards our children to ensure they grow up in a society where there is love, care and compassion for one another. He concluded his address by telling the children that the future of Sierra Leone belongs to them. And one of the ways they must learn to make Sierra Leone a better country is by showing love, care and compassion for one another. He said to them that as they eat they must also remember their friends and other children in other parts of the country who may be spending their Christmas with little to eat or lonely – without parents. And we must all pray that wherever they are that our Lord Jesus Christ will provide enough food for them, and for those who are lonely – send people to comfort them this Christmas day. After the short address by Julius Maada Bio, the children were then organised by Fatima Jabbe Bio who was also part of the team that served food and drinks. And as they ate, the happy children were all laughing and interacting with one another. At the end of the meal, there was also music for the children to dance. 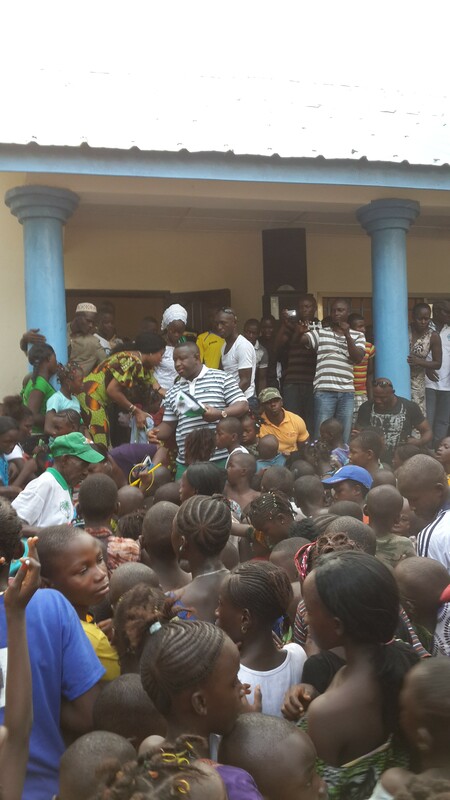 Julius Maada Bio and Fatima Jabbe Bio joined the children on the dance floor. The parents who accompanied their children to the Christmas meal were also happy. One of the happy parents – Aminata, said: “I woke up this morning with my two children and did not have anything in the house for this Christmas day. So we are quite happy to be here – especially so that my children can have a decent meal this Christmas day. 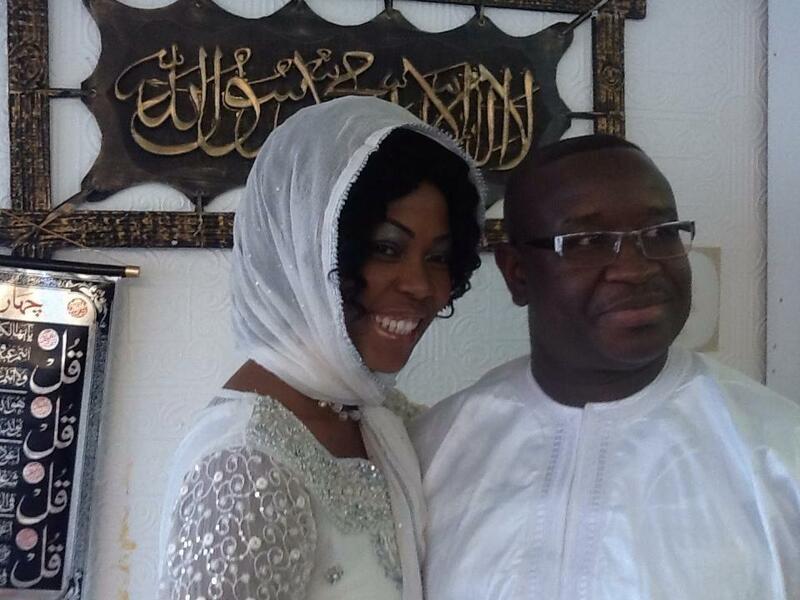 I pray that God will continue to bless Maada Bio and his wife for such a wonderful gesture. They are very caring people”. This Special Christmas celebration was also attended by senior stakeholders and politicians in the Bonthe District – including the Mayor of Bonthe Island Municipality – Mayor Layemin Joe Sandi. Members of Parliament including Segepoh Solomon Thomas, and other senior SLPP members in the District were also there to lend a helping hand.